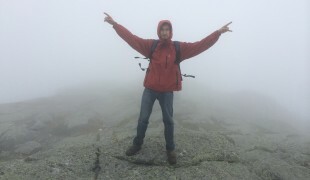 I have been doing an unusual amount of hiking this year, with my total distance covered now at 143 miles. This beats my total yearly mileage for 2015, where I had only gone on one hike by mid April. In March this year, I really picked up my hiking with a handful of over-nighters on the John P. Saylor Trail, Chuck Keiper Trail (both East and West Loops), and the Loyalsock-Link Loop. As the snow now seems to be behind us now, and the training since January has put me in good physical shape, I will begin some longer distance hikes as my work schedule permits. This weekend will be the first of several 3-4 day hikes, and will be on the Black Forest Trail along the Pine Creek Gorge in PA. The trail is about 42 miles long, and will take 3-4 days depending upon what time of day I start. Here’s a photo of my food inventory for the BFT. Generally, I pack some “set” food items for the number of nights I may be in the woods. 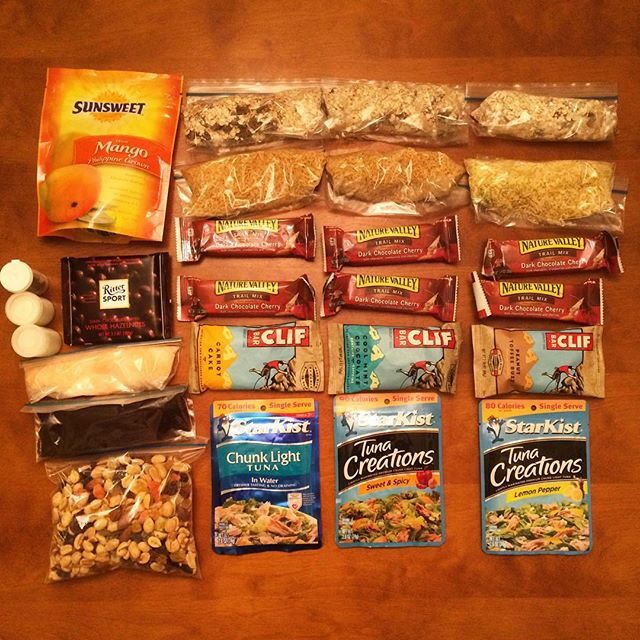 On top of that, I usually take some chocolate, dried fruit, and trail mix to spread out across the entire hike. To ensure my body has enough calories when I hit the woods — (I get hungry fast) — I usually have a large breakfast and a sandwich prior to hitting the woods. On the last day of the hike, I tend to eat the least amount of food and often skip lunch all together. With that all said, the food inventory will grow with crackers and cheese. They supplement the rice well making a filling meal for dinner. Is that a Ritter sport dark chocolate hazelnut bar! The first time I had one of those was at a rest stop in the Austrian Alps, so good. I was stationed in Ansbach Germany which is about 50k west on Nurnberg. I love that area I think your going to be in. Austria and Garmish are so beautiful right now! Envy! 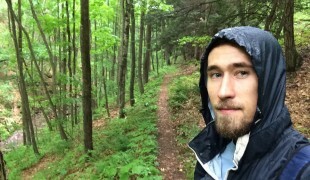 @b_evans_fricks: Unfortunately the Black Forest Trail I am speaking of is in Central/Northern Pennsylvania! Fortunately it is a beautiful hike! I do love Germany, and have visited a few times, although have not made it to the Black Forest!